sock prØn. : What I did with my Christmas vacation. I would love to read a chapter of the book, especially if it pssed muster with you. 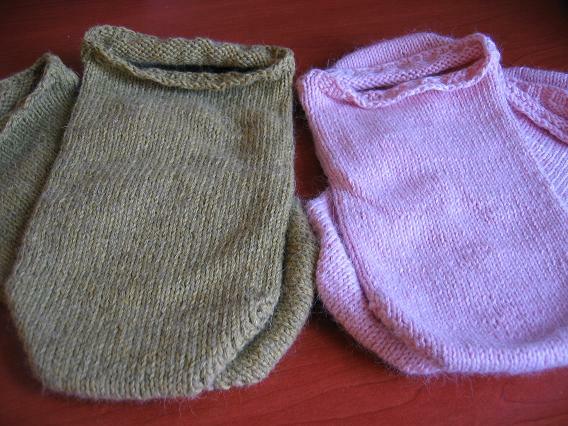 I am also encouraged top hurry up and get started on the socks 101! A sample chapter from the book sounds great. If you liked it then I'll give it a try. Your spinning looks so good, and all the socks look so comfy. I really like your stitchmarkers. And that's very cool about the book! Yay! I'd like a copy! :) I wasn't so sure after hearing this book/movie was coming out either... but since you said you liked it, it must be good, right? 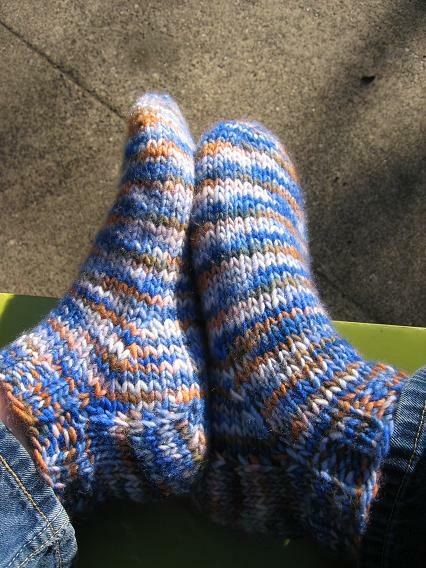 btw, those malabrigo socks look really cozy! 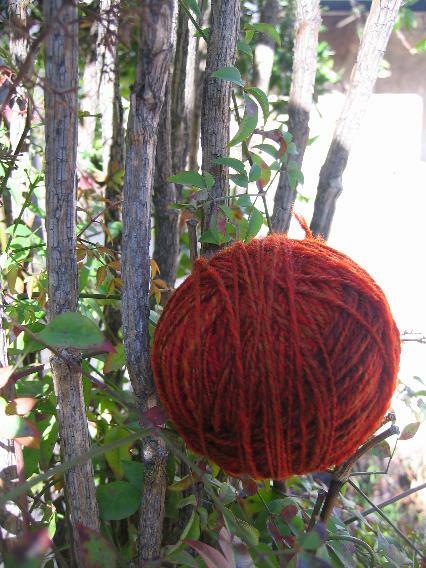 did they take a whole skein? I'd really like a copy. Usually (like you) I am unenthused by/venemously dislike fluffy chicklit books, but your review has intrigued me! 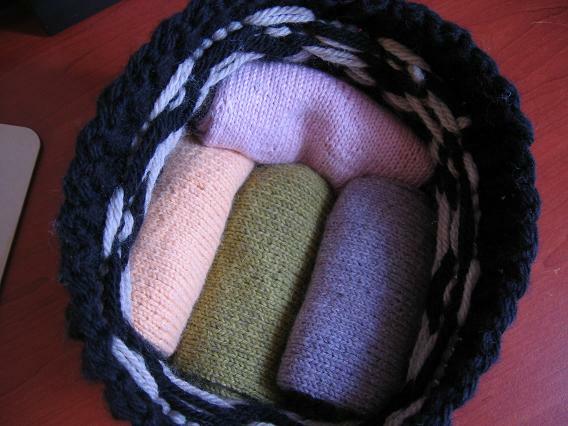 The yarn is gorgeous - the colours are just lush. Happy New Year! Good luck with the Etsy store. 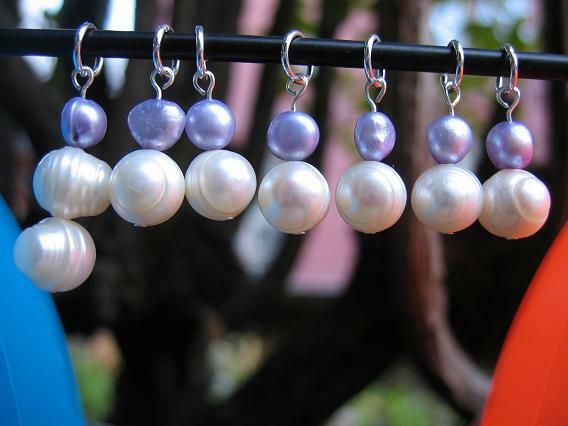 The pearls are very pretty as stitch markers. Malabrigo...ooh. I have some ordered and I can't wait! I wish you well with the Etsy store! I've thought about it but so far haven't pursued anything. I've sold lots on eBay... Maybe in the spring. yes, use heavy fishing line to fix the ashford. and yes, i WILL buy some of those pearl doohickeys—they're gorgeous! Good luck with your etsy store! They look great. I've considered selling my patterns online, but have wondered how to get noticed amongst the seemingly infinite number of online sources. Have you read "The Tipping Point"? I'm waiting for a copy from the library, but its focus is on how certain ideas, products, etc. become popular in mainstream society. the stitch markers are gorgeous, the photo is gorgeous too! maybe make more yarn you hate (...) and we loved- to sell!!! good luck with it! new year, new adventures! 1. Replace the brake band with a length of dishcloth cotton and you should be golden. 2. Wanna mail me that book?? Oh! I love the pearls! I'll make sure to mention your shop in my blog, not like I get as many readers as you! I paid 1/3 of my STR club with my etsy sales, with many linkbacks from your blog! I'll have to investigate that book when it comes out. I love to read and am always looking for something new. I love Sherry's dpn protectors & got in on the sale already. BTW, I'd love one of the brochures ... I'd love to read more about the book before investing $16.00. But since you've given it such a great review ... I might buy it anyway. Ooooo, if only I need new stitch markers ... I'll check yours out some time. Gorgeous stitch markers! Good luck with Etsy. It's a fun place to sell one's art. I'd love one of the brochures. Stitch markers you say? I'm off to check out the store. Hi! I found your blog after doing a technorati search for FNKC. I was wondering if I was the only blogger who got a free advance copy of this book! I liked it, even with similar biases against it from the outset. You're welcome to visit my blog to read my review. Aija, appreciate the book review, will have to look into it. Lovely socks (and I have a skein of Malabrigo that I didn't know what to do with), and PRETTY stitchmarkers. Just lovely stitchmarkers, really. Great review. There is a pile of those sample chapters sitting on the counter at work that I have been disinclined to read. I guess I'll give them another chance. The stitch markers look great! 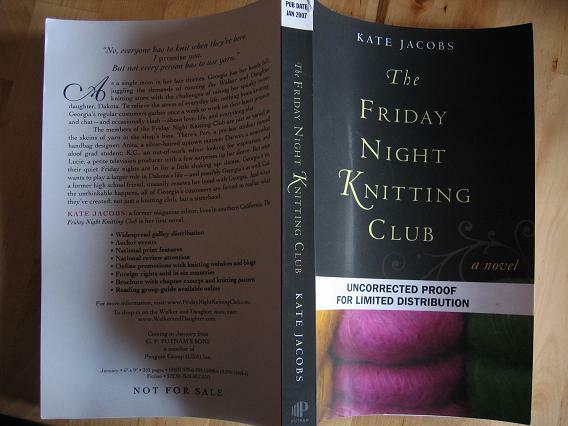 So, how did you get on the list to receive an advanced copy? sounds awesome! I can't wait to read the book! Rarr, blogger is being mean because I switched to the new blogger. I love your vanilla footies and the presentation of all of them in the hat! Great gift! The 101 socks are really cool! Look like a very fast knit! :) Nice stitchmarkers! I love how you packaged up your mom's gift. It's beautiful, and the socks look heavenly to wear.